Mitsubishi Chemical Corporation has been manufacturing Diaion and Sepabeads adsorbent Resins for over 40 years. 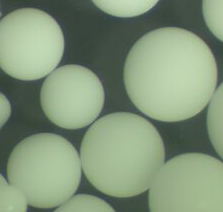 These styrenic and acrylic resins are highly porous with no functional groups. They absorb organic compounds on the surface due to hydrophobic interaction. Their porosity and surface area are key to their success in these demanding applications. Check out the products line section.